Sterimedix is proud to announce the launch of the Grooved Tipped Injection Cannula (GTI Cannula). 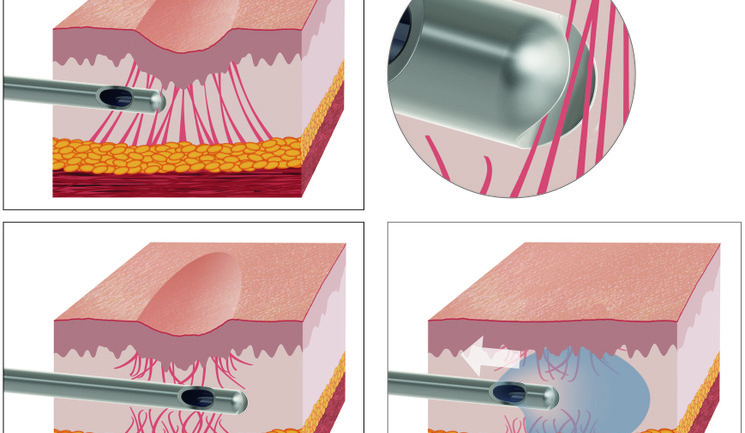 The unique and precisely manufactured grooved tip allows precise control through higher density and scar tissue for the subcision of minor facial surface defects. Developed in conjunction with Dr Olivier Amar, the GTI Cannula's revolutionary design provides greater control and safety in the treatment of small scars. Manufactured entirely in the UK, the GTI Cannula will allow every practitioner to offer a safe, comfortable and reliable treatment for facial defects.